Tampa Am is just around the corner. Keep your eye out for bangers from the Island Water Sports skate team. 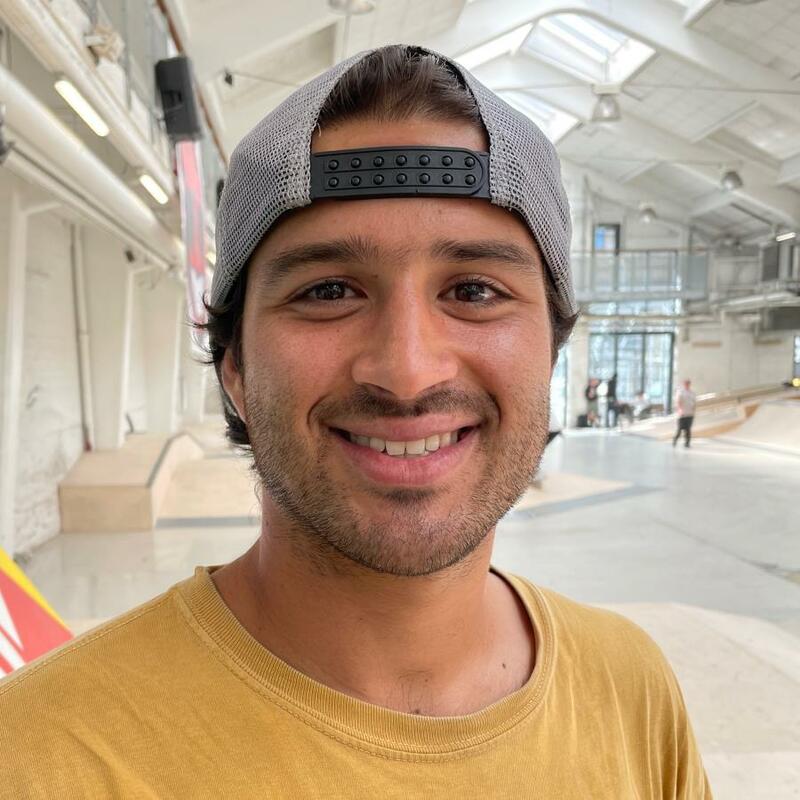 To get you hyped for all the events this weekend, Dani caught up with team rider Pedro Delfino. Last year, Pedro killed it in the Converse Concert Jam but then collided with Scotty Laird knocking them both out. Pedro was taken away by ambulance. Fortunately Pedro was ok and will be heading back again this year with an even bigger bag of tricks. Read our Pedro Delfino Interview below. You’ve travelled everywhere the last year or two, what skate spots have you enjoyed the most? PD: I liked San Francisco the most because of the hills and you can play real life Frogger. Music, you used to play guitar and sing a bit…is that still a thing? What’s on your favorite playlist? Yeah! I still play. Whenever I’m having an off day I set up my guitar as loud as it goes and just yell at the wall for an hour straight. My favorite playlist has to be Step 2 Rhythm by Turnstile. Go listen! Do you think competitive skateboarding has slowed down due to social media “likes/views” being enough affirmation for some skaters? No, because competitions are the only physical ranking systems that determines your place within professional skating. Social Media is just a game. It’s for trying to out trend every skateboarder, out follow every skater. The only good thing social media has done is to connect all of us weridos that couldn’t relate to anyone in high school when all the jocks were busy tuning up their Mazda’s. It lets you share your creativity with each other, find couches to crash on when traveling, and only sometimes open doors for you into the industry. But never enough affirmation as winning a contest could give you. Tampa Am last year was crazy in every way for you. What’s the back story on that? You wearing a football helmet like we joked after the fact? Yeah it was a crazy contest for sure. I had to be hospitalized after colliding with a dude who was careless and unaware of his surroundings, but it was my own karma. Earlier in qualifiers I had focused my board right after my run for doing poorly. I threw a tantrum and acted real juvenile about my experience because I felt out of place. But because of that slam I gained a whole new perspective on why I love to skateboard and realized it wasn’t about putting all this pressure on myself to win cause that isn’t what skating is about. This year I’ll be skating with a shield, sword, and a Roman helmet. Advice for young skaters trying to break into the skateboarding industry? If it’s because you have a burning desire to skate, don’t mind falling on concrete every day, and no respect for the rest of the non-skating world than this might just be for you. And, if you love skateboarding just do it. Go skate every day, stay true to yourself, and be open to every skateboarder you come across on your journey. Let it take you without expectations of what you can get from it because at the end of the day skating doesn’t owe you anything. And don’t worry about sponsors until you’re 16. Try to get my backside airs on lock. This or that: Just pick one or the other in one word. Street or Transition? Whichever goes fastest. Snapchat or Insta-snaps? Depends who I’m trying to impress. Long drives or long flights? Long drives with the radio on no passengers. California or Florida? I’ll go with the one rains the least. Iced coffee or Hot coffee? Never Iced, that shows weakness. Tacos or Pizza? I’ve had sushi rolls on pizza once. PreviousSurf Science: Why do Waves Break?